"The Prince of Wales pattern is bold, confident, uncompromising. When I wear mine, I feel a little royal myself. Choose a tie in a clashing pattern, team it with your best suit, and walk like you mean business." 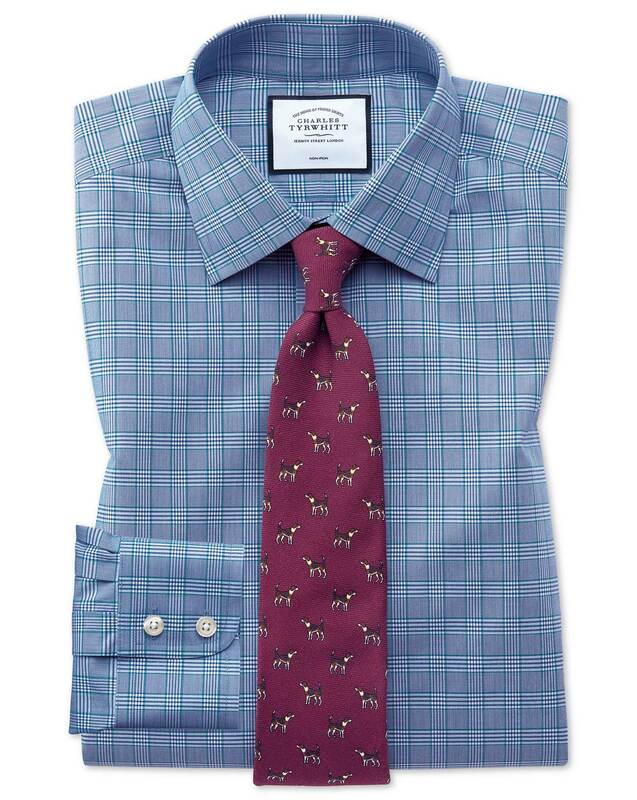 "Prince of Wales pattern on light, breathable 100% cotton poplin that is also non-iron." Good fit, a little tight. Normally order this size and fits well, this shirt didn't. No need to return. Just what I expected, a quality, classy shirt. Excellent material, and a solid fit. Lots of colors and patterns too choose from. Love the shirts. They fit well and certainly are of quality.